This event has now passed, please fill out the enquiry form or contact the Sports Team on 01372 220031 if you would like to hear about the next Survival of the Fittest Manchester. Scramble your way through this fun, muddy 10km assault course and help us support more families with a seriously ill child. 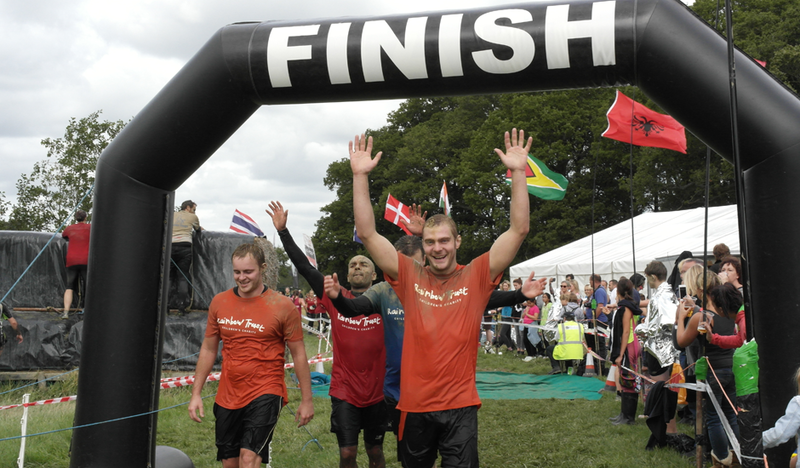 It may be in the middle of the city but this is definitely the muddiest Survival of them all! You will duck, dive, climb and crawl your way through tricky obstacles and pull yourself through muddy pits, having great fun as you go. We pride ourselves on giving our challengers the best support and encouragement in the lead up to, during and after the event. Regular updates on how your fundraising makes a difference. To join our team you will need to pay £36 to register and raise £150 for Rainbow Trust - click the link on the right and complete the registration form. For more information or to sign up on the phone, please contact the Sports Team on 01372 220031. If you have already signed up for any Survival of the Fittest, we would love for you to join our team and raise money for us. We will still support you with your training and preparation and there is no minimum fundraising target, just raise as much as you can!